Today is national molasses bar day! 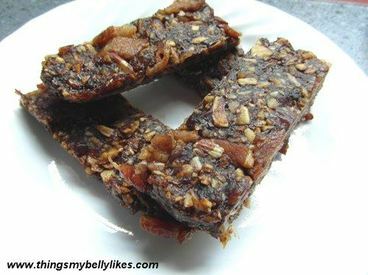 Try these Molasses Bacon protein bars!! Sweet, salty and packed full of nutritious, energy-giving foods. Grill or fry the bacon (reserving the precious bacon fat) until well-cooked. Let cool then chop into small pieces. Add the nuts, dates and molasses to a food processor. Blend until it forms a paste. Transfer to a mixing bowl, stir in the bacon bits and 2 tbsps of the bacon fat. The mixture should start to gel together. Press into a lined 8in x 8in tray or shallow dish. Freeze for an hour then remove and cut into slices.